Welcome to the O’Neill Honda Service Department! When it comes time to get your vehicle serviced, it is often an aggravating and inconvenient experience that drives most people crazy. We all wish that it was something we could just bypass or skip over, but unfortunately that’s not the case if you want your vehicle to run well into the future. Our service department offers quick, quality service that encompasses everything from basic maintenance to major engine repairs. If you live in Overland Park, KS or the surrounding communities, the O’Neill Honda Service Department is the place to go. O’Neill Honda’s expert service technicians are not limited to Honda cars, trucks & SUVs. We service all makes and models. Bring your vehicle down to one of O’Neill Honda’s maintenance experts for your next service appointment. Please use the buttons below to schedule a service appointment or contact our service department. We can be reached by phone at 844-242-2394. Why should you go to the O’Neill Honda Service Department? It is a valid question that may have already crossed your mind. There are many high-quality service centers in the Overland Park area, but you will be hard pressed to find a service department with more qualified and passionate individuals than those we have at our dealership. No one looks forward to a service appointment and being without their vehicle, but it is oftentimes unavoidable. 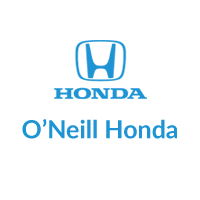 Quick, quality service is our priority at O’Neill Honda and our team will be honest and upfront with you about how long your repairs and service will take. We understand that your vehicle is a major component of your life and we can promise you that we will treat it with the same importance and care that you do. Speed is a priority for our factory-certified technicians, but we refuse to sacrifice quality for speed. We will not cut corners and we will ensure that the job is done correctly, so that when you drive away, you can do so with confidence that the job has been done right.